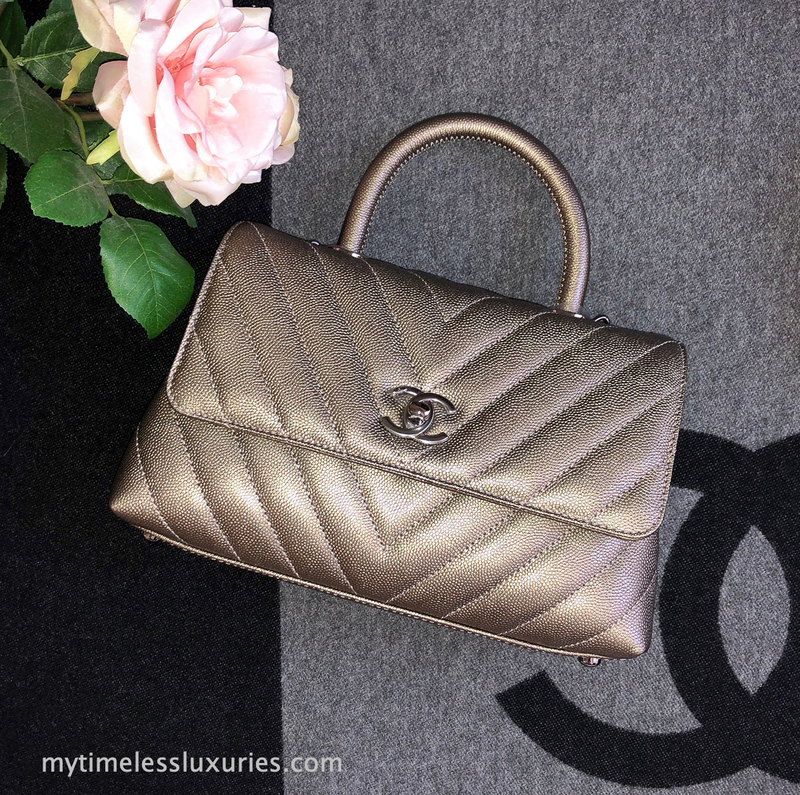 CHANEL Chevron Mini Coco Handle in Light Gold Caviar and Shiny Ruthenium Hardware. Absolutely stunning in person! Notes: This bag is brand new, boutique fresh. Plastic coverings intact on hardware.